It was right about this juncture last season when Cardinal fans began questioning Kevin Ware. After an underachieving freshman season, during which he averaged less than five minutes of action, played in only 20 of the Cardinals’ tilts with a 1.0 ppg average, and registered more than twice as many turnovers (21) as assists (9), an uptick was expected. Teammates continued to extol the awesome game of his on display in practice, but it wasn’t making the trip from the Yum! on Floyd to the Yum! downtown. It seemed inevitable that he would be no factor as U of L was striving for a national crown. He started to get it. Especially on defense when his speed and incredible wing span began causing major havoc. His threes started dropping1 He began playing with more confidence. It then was apparent he would be a key cog in any possible Cardinal title run. As he indeed became. Most notably as the game changer in the regional semi-final W over Oregon. 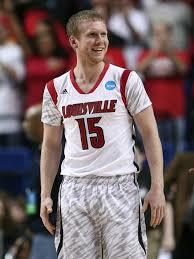 After his injury against Duke, he elevated to status as the spirit force that underpinned U of L’s ultimate success. Against a feisty Hilltopper squad, Ware played 0+ minutes. That’s box score speak for less than a minute. It was twenty four seconds to be exact, the final ticks of the opening half. He became the designated Edgar Sosa, tom toming the ball at the top of the key as the intermission buzzer approached. With a few ticks left, he drove for the bucket, turned it over, then committed a foul. He sat for the rest of the game. As he has most all of the time since he was cleared medically to play. He was on the hardwood for 13 minutes each against Cornell and Hartford. In his five other appearances, he’s totaled 22 minutes on the court. The rest’s been pine time. Which brings me to this question: What gives? Will Kevin Ware become a key cog this season? Or, will his last hurrah be that call from the First Lady last spring after breaking his leg in spectacular fashion? Henderson has a sweet stroke. And hustles every second he’s on the court. Yesterday, he was 4/6 from beyond the arc. He nabbed 2 boards, dished out four assists and snatched a steal in 22 minutes. Of course, he’s got a history. Those two treyballs against Wichita in Atlanta were as key in the Cards’ run to the title as Luke Hancock’s four against the Wolverines. He’s the kind of guy every championship team needs, one who rises to the occasion. But he’s a spot duty guy, one whose upside is significantly lower on the scale than Kevin Ware. Or, one must assume, Anton Gill. TH does play a mature game, within his capabilities. He was huge against the Toppers, arguably his best game as a Cardinal. I’ve said it before and surely shall repeat, hopefully for years to come. 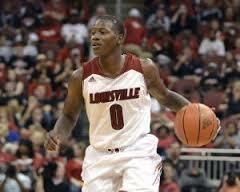 I loooooooooooove Terry Rozier’s game. He’s my favorite of the new Cardinals. Yesterday, his shot wasn’t dropping (2/9 from the field), so he grabbed 10 rebounds. Snatched several from other’s grasp like a Venus Fly Trap. And he played In Your Face D.
Is he Louisville’s best rebounding guard ever? Help me out, old timers. The Rick, in that annoying way he often coaches by innuendo through the media, indicated before yesterday’s tilt that Mango wouldn’t be starting in the pivot next season. Not exactly sure how these types of public dismissals are supposed to bolster kids’ confidence, but it’s a default tactic, Pitino uses. Anyway, Mango had 13 points yesterday, on 5/5 shooting from the field and 3/4 at the foul line. He tallied ten of his points in the first 13:34 of the contest. Chane Behanan is coming on. He played big in 15 first half minutes after Harrell got in quick foul trouble. He scored 11 points, grabbed 7 rebounds and had 2 assists. Wayne Blackshear continues to come on. Great hustle on defense. 12 points. 2 steals and a blocked shot. After the game, The Rick extolled the virtues of the kid he didn’t want to recruit and whom he tried to run off after an injury-plagued freshman season. It is to Smith’s eternal credit that he is adjusting his game to the needs of this season’s team. Yesterday he had 10 assists, grabbed four rebounds and scored 14. Ray Harper is a good basketball coach. 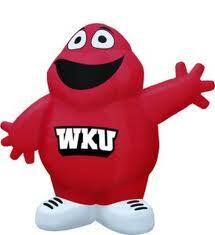 Western Kentucky stayed with its game plan and executed it superbly against a far more talented team. It would be really neat to see Harper able to get some talent to make the Toppers a national power again. One of the major distinctions between the coaching style of Pitino and that of his Hall of Fame predecessor, Denny Crum, is the use of timeouts. The Rick is a quick T. If something’s not going right, he wants to fix it now. Crum, believing in the importance of having all his timeouts at the end of the game, rarely called one to correct a situation. He allowed his team to play through turmoil. Yesterday, Pitino called his next to last, fourth timeout with 13:52 to play, and only a 7 point lead. Had Western made a game of it, the Cards might have needed more than one break in the action to adjust. I was reminded of former Cardinal assistant, then favorite Cardinal whipping boy, Dana Kirk, who coached Memphis State to some success. The Cards and Tigers had some donnybrooks back in the day, real brouhahas. When it came to crunch time though, Kirk would most always be out of timeouts, having used them up earlier in the game. For the most part, the zebras ignored the new officiating dictates, and let the teams play. The game took right at two hours to play, unlike the 2:20 to 2:40 that has become this season’s norm. Butch Beard was a terrific rebounding guard. Averaged over 6 I believe for his career. And going way, way back Chuck Noble rebounded well. Chuck Noble. Gimme a break, cbcard. That’s a show off answer. I remember Noble, and saw him play. But I know that neither you nor I remember a single particular about his game. While I stand by my comment about the memories of both cbcard and myself, I do note that Noble averaged 5.1 and 6.3 rebounds per game in his last two seasons, 52-53 and 53-54. Butch Beard averaged 6.3 rebounds a game for his three year career. I’m older than you and saw him play. I do confess however that I don’t remember anything other than his name. But I do remember my father comparing him to players that we both remember. And my father saying he could do it all, including rebounding. I remember Chuck Noble. One snowy Saturday in December of 195? he grabbed 24 rebounds. Love the new site. Ray Harper can coach-em-up with anybody…. last two years prove that. He has more national championships and national championship games than some other notable coaches in KY combined. Coach Crum would use his timeouts at the end to set up a legitimate plays: screens and ball movement to get a good final shot. When was the last time you saw a Pitino coached team run a real live play after a TO at crunch time? Let me guess. Seedy K’s favorite rebounding guard is. Tommy Kron. I thought Lancaster Gordon was a good rebounding guard. But I looked it up. He only averaged 2.9 for his career. Lancaster was a strange recruit. He was the only guy over 6′ on his high school team and the coach played him at center and wouldn’t let him get more than five feet from the basket. I think it was Bill Olsen who recruited him although it may have been Wade Houston. At any rate when he got to UofL they were shocked and thrilled to discover he already had a 15′ jump shot since he never got to take one in a game. And he was a good rebounder but only in certain games. Other games not at all. Sort of depended on the matchups. He ended up hitting 40.5% (15/37) on the year. One must assume that Anton Gill could/ would/ should earn that spot. Unless The Rick, who can cut bait quicker than Bill Dance, has already given up on Terry Rozier’s prep school backcourt mate. It is a shame that I/ we fall in the trap of always comparing him to Dieng, because, well, they’re both Africans by birth with African names. Why don’t we compare him to Van Treese, or David Padgett or Matt Simon? Just wondering? 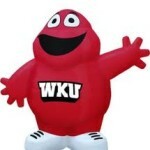 At least in the short period I’ve been following U of L, from 1952 to the present.